Despite the demographic challenges presented by the three-decade old policy, local governments depend on child birth penalties to balance budgets and boost the income of politicians. Chinese households in which more than the allowed number of children are born must pay this fee. In the 1980s, the fee was colloquially called the “extra birth fine.” In 1994, the name was officially changed to the “unplanned birth fee.” Six years later, the State Council issued a document to change the name again, to “social support fee,” and the new terminology was used in the Population and Family Planning Law in 2001. In 2002, the State Council gave it an official definition: a fee paid by citizens giving birth extra-legally, in order to compensate for the government’s public goods spending, adjust the consumption of natural resources, and protect the environment. As the social support fee is officially defined as an “administrative fee” rather than a “fine,” information about its collection and spending should be included in budgets planned by treasury bureaus and made publicly available. Yet, for a long time, the fee has been collected and spent in opacity, without even a hint as to how revenues generated from it are allocated in most local governments’ annual budgetary reports. On July 11, 2013, Youshui Wu, a lawyer from Zhejiang Province, tackled this issue by submitting applications to the family planning commissions and treasury bureaus of 31 provincial-level political authorities, requesting the reports of how the money was levied and spent in 2012. By August 31, 17 provinces had responded with information on the amount of money collected in social support fees in 2012, yet none explained how the money was spent. The fees levied in the 17 provinces totaled 16.5 billion RMB (about $2.7 billion). Jiangxi Province topped the list with 3.39 billion RMB, which was 1.65 percent of total fiscal revenues of the governments of all levels in the province. The figures, though still unreliable, confirmed that the revenues generated from this fee play a more-than-trivial role in the fiscal workings of local governments. When compared horizontally, the less economically developed provinces depended on this source of income more than the more developed regions. Since people with lower standards of living and education levels tend to have stronger motivations to have children in China, a larger proportion of their populations pay the fee. At the same time, economically backward provinces have smaller tax bases and weaker revenue-generating capabilities. Thus, densely populated provinces in relatively poor economic shape, such as Jiangxi, Sichuan and Henan, rely more heavily on the revenues generated by the levying of social support fees. When compared vertically, lower-level local governments (such as township and county government bodies) have a stronger and more immediate need for the revenue than their higher-level counterparts (city and provincial governments). Under the current fiscal framework, most tax revenues are appropriated by central and higher-level authorities, which also take the greater share of non-tax revenues, such as land-selling profits and handed-in profits from state-owned enterprises. After the Rural Tax and Fee Reform in 2002-2004, rural local governments were deprived of almost all independent sources of fiscal income. Their spending is generally financed by transfer payments from upper-level authorities, who can make demands as to how the money is spent. With little say over how to utilize the transfer payments, many rural local governments lack sufficient fiscal revenues for day-to-day operations. With this “hand-to-mouth finance” crisis looming, the social support fee, one of very few sources of income over which local government bodies exercise autonomous control, has becomes a lifeline in many regions. The numbers that Wu obtained from provincial-level government organs might be highly inaccurate or significant underestimations, since it is hardly possible for upper-level authorities to audit the collection and spending of the social support fee due to the highly decentralized manner in which the fee is levied. In 2002, the State Council granted each province the autonomy to set standards according to which the fee was collected. Provincial governments, in turn, issued only broad regulations. 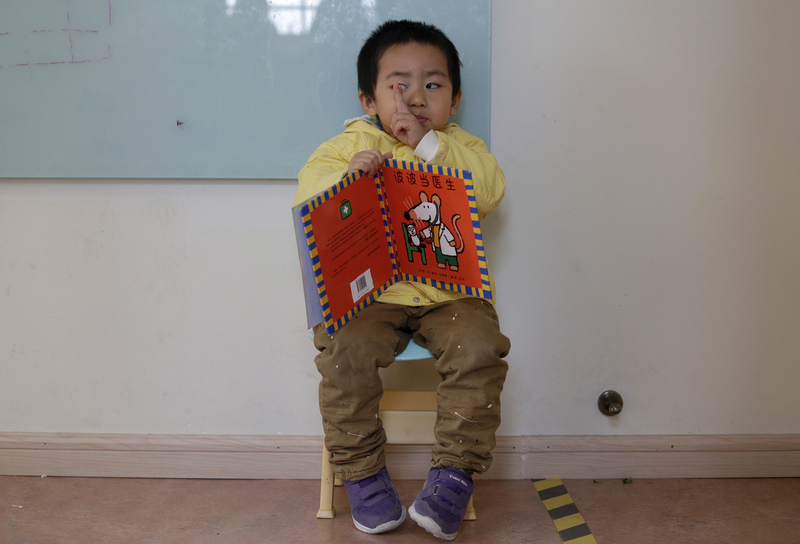 For instance, the Beijing government requires that the social support fee per child be six to ten times the average annual income of local residents. Thus, the power to determine how much to charge a household is ultimately relegated to local officials. The amount of the payment is often settled through negotiations on a case-by-case basis. This practice incentivizes rent-seeking: the China Economic Weekly reported in 2012 that those who had social ties with on-duty officials and those who bribed them paid less. Even though the social support fee is important for local government bodies, it is the family planning officials, who are responsible for collecting the fee, who are the biggest beneficiaries. According to a regulation issued by the State Council, the spending of the fee should be determined by treasury organs, in isolation from the system of fee collection. Yet, as reported by the China Broadcasting Network, in many places, the treasury bureaus return much of the levied revenues to the family planning organizations upon receiving the fees. Some authorities even allow whoever collects the fee to keep part of it as personal income. Therefore, family planning organs and their personnel are greatly incentivized to collect the fees. Authorities in some regions even allow the extra births because their incomes depend on them. Within this context, it is easier to understand why, despite strong public objection to the policy and academic proof of the policy’s long-term harm on China’s demographic structure, the strict birth control policy has remained resistant to reform. Softening the one-child policy means forcing the government itself to forgo its vested interests and finding a sustainable solution to the crisis of “hand-to-mouth finance.” Reforms must always be accompanied by resolutions to conflicts of interest and material compromises, and the impasse on China’s family planning policy is apparently not an exception. Yueran Zhang is a Chinese writer based in Durham, North Carolina. He contributes regularly to Tea Leaf Nation.